brand by many, but unfortunately not by "moi". that I ain't going to find anything good and move on. (Luckily or unluckily for me, they don't read my blog). already gathered this Instaglow CC Cream didn't float my beauty boat either. 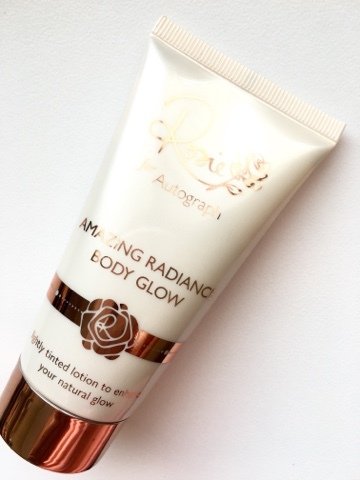 it will revive your skin with a healthy-looking glow"
and this is all it took for me to spend my voucher. 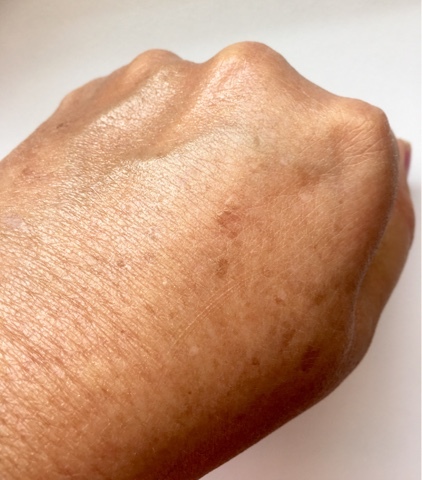 marks on my hand and give a nice glow. with tiny specks of gold glitter, which certainly was not what I was expecting. It didn't perform any better on my face either. healthy glow and not a gold glitter face. 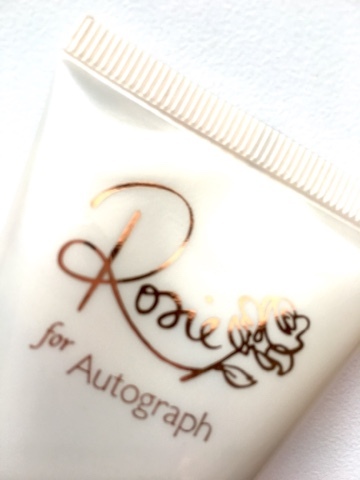 I can't even envisage this product performing any better on a young flawless skin. R200 you only get 25mls of product, which to me seems fairly expensive. 2018, but it may just make it onto my worst products of 2018. Will I ever find a Body Shop product to rave about? and is suitable for all skin types. Available at Body Shops countrywide. British model and actress Rosie Huntington-Whiteley. product can't be enjoyed everyday. 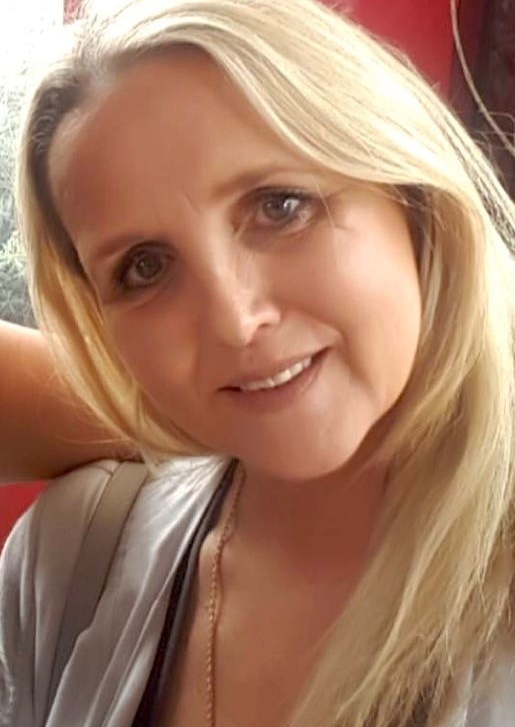 a dodgy shade of an instant "fake tan". It's super easy to apply and provides a non sticky, fragrant layer of moisture. is divine, albeit, not one that would normally appeal to me. and contemporary freshness and I love it. 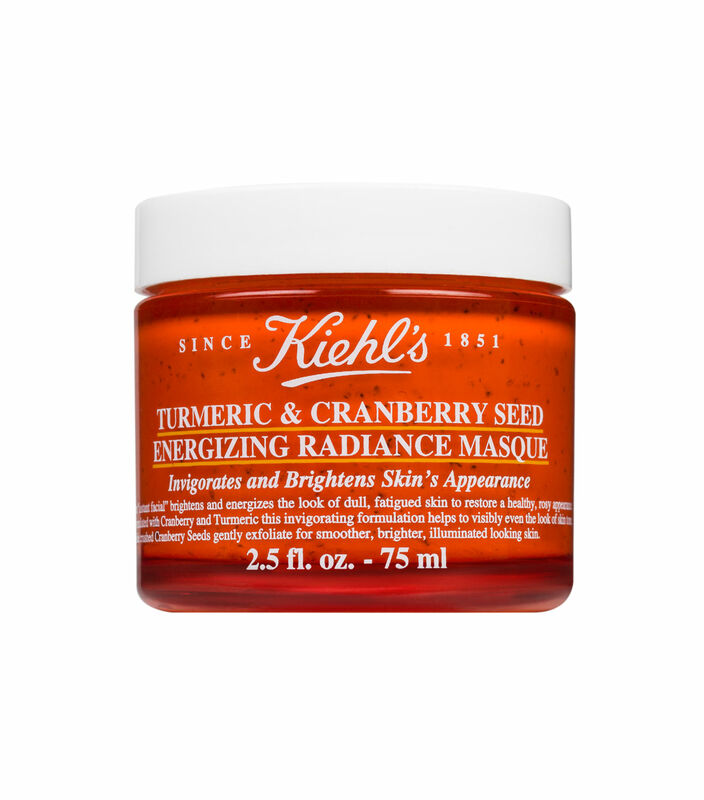 the Kiehl's Turmeric Cranberry Seed Energising Masque. but the end results are pretty similar. 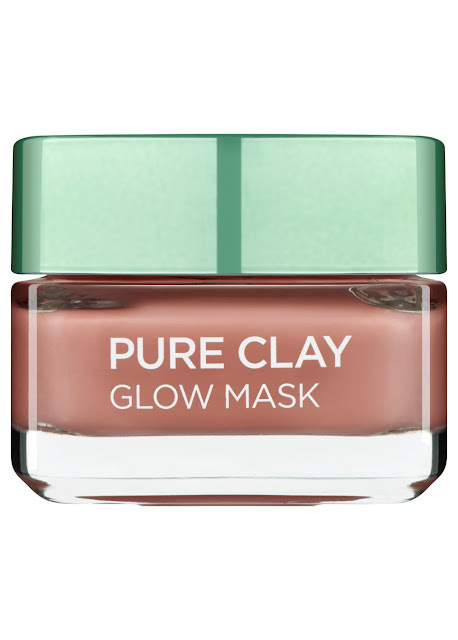 "This super-charged pure clay mask enhanced with Red Algae Extract has been formulated to exfoliate and refine your skin in just 10 minutes.The beaded, creamy textured terracotta coloured mask contains potent pure clays and volcanic rock exfoliate dead skin cells and smooth surface imperfections to reveal a polished, pore-minimized, smooth, glowing, soft and radiant complexion all without drying out the skin." "The Cranberry and Turmeric Energizing Mask was enjoyable to use and instantly gave a brighter, healthier and less fatigued appearance to my skin and was pretty close to giving an "Instant Facial". "known ingredients proven to brighten and energise the skin." a brand that is exclusive to Marks & Spencers. that impart a glow to the skin whether it be face or body. next UK visit shopping list. this review after four and half months of twice daily use. for what seems like an eternity and it's still going strong. and that's an anti-ageing eye treatment. signs of ageing at bay or minimised for as long as possible. eye products, as we are spoilt for choice. natural expression lines around the hard working eye area. will "fix it all" in one jar, as that just doesn't happen. in the "Big Guns" of the eye treatment world. for the face and eyes. 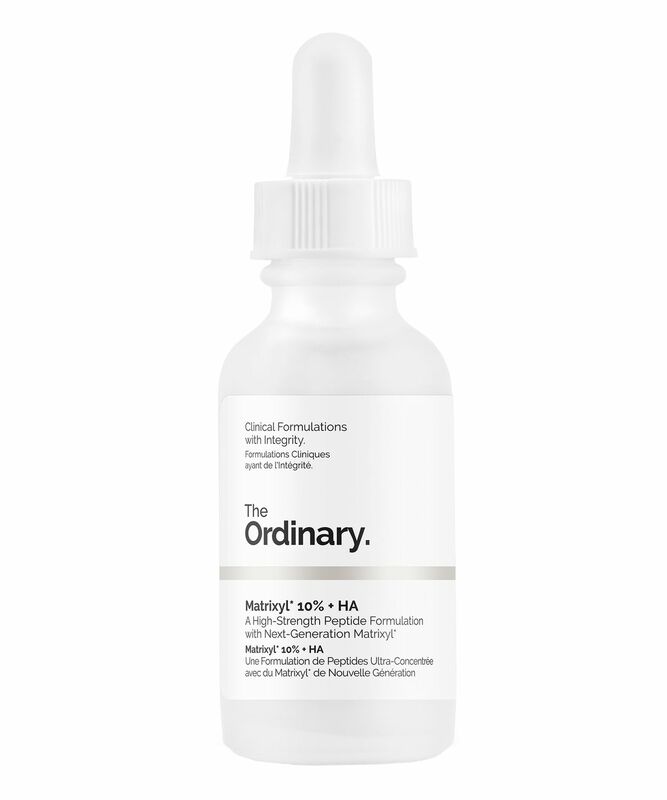 recommend if you are wanting to seriously inject some "oomph"
into your eye care routine. is one of those "Big Guns" to be used both night and day. of concern for most of us. more droopy and gives the eye a more closed, tired appearance. Infusion ensures that the skin remains hydrated for a full 24 hrs. Using the massaging applicator, gently roll under each eye three times. Then massage in a 360° circle under the eye area and above the lid. Finish by patting with ring finger until absorbed. 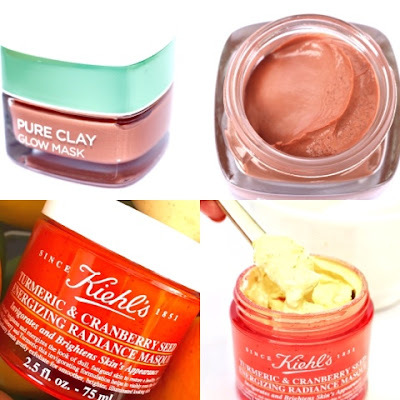 creating any puffiness, which some eye products can do. a more rested eye area. Estēe Lauder Advanced Night Repair Eye Products. An act of kissing puts 29 facial muscles in motion. In other words, kissing can be used as an effective exercise to prevent the development of wrinkles. Lovers swap saliva containing various substances e.g. fats, mineral salts, proteins while kissing. According to latest studies, the exchange of the above substances can give a boost to the production of antibodies, which are made specifically to deal with the antigens associated with different diseases as they are encountered. As a rule, 66 percent of people keep their eyes closed while kissing. The rest take pleasure in watching the emotions on the faces of their partners. According to U.S. statistics, an American woman would kiss an average of 80 men before she gets married. A quick romantic kiss will burn about 2-3 calories, whereas a French Kiss (an open mouthed kiss with tongue contact) will burn more than 5 calories. Sensitivity of the lips is 200 times higher than that of the fingers. The bodies of those engaged in kissing produce a substance that is 200 times more powerful than morphine in terms of narcotic effect. That is why the kissing partners can experience feelings of euphoria and bliss in the process. Kissing can help women relax and ease the effects of stress. 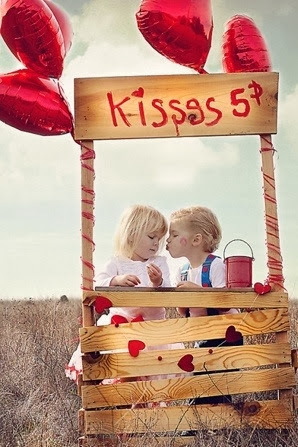 On the average, a person spends 20,160 minutes (two weeks) of his life on kissing. Every other person on the planet has his first amorous kiss before reaching the age of 14.
which falls under the Deciem umbrella. any obvious quick results, it's a long term ongoing treatment. serums in my current beauty regime. developed by Sederma in France. Exactly what I and many other women in their 50's are looking for. What are Peptides and why are they important ? When peptides form a long chain of amino acids, they become proteins. to our cells to let them know how to function. of a more supple and youthful skin. or Vitamin C serums too stimulating or active. was very appealing to me. 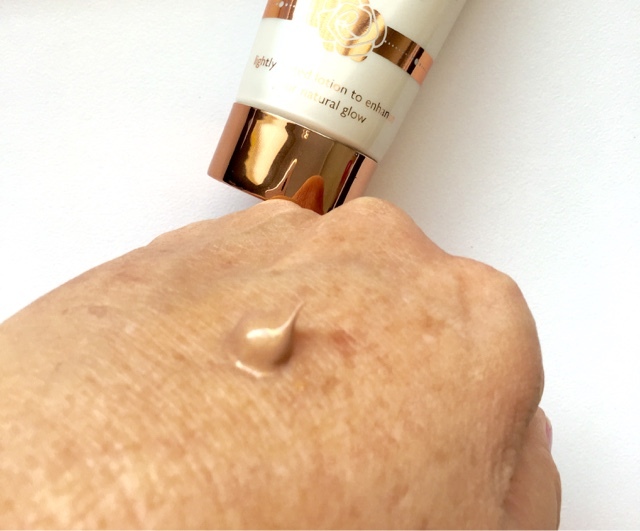 this thick,viscous,clear jelly like serum for morning application. I found that use in the evening was preferable, but just a 'heads up"
quickly leaving a slight tacky, sticky film on the surface of my skin. on my face and it just didn't do it for me. as I said earlier, it's a silent worker. its texture alone I won't be repurchasing. drop me a note in the comments section below. coal tar dyes, formaldehyde, mercury, oxybenzone. DECIEM does not test on animals and does not pay others to do so. require animal testing for registration purposes.